Richard Stonley. Diary labelled “KK.” Manuscript, May 1593 to May 1594. Folger Shakespeare Library. Richard Stonley, one of Queen Elizabeth’s accountants who was later imprisoned for embezzlement, recorded his purchase of the narrative poem in his diary in 1593, less than two months after it was licensed to be printed. While this Shakespeare reference was known to scholars in the late 18th century, the diary disappeared from view until 1972, when it was purchased by the Folger. 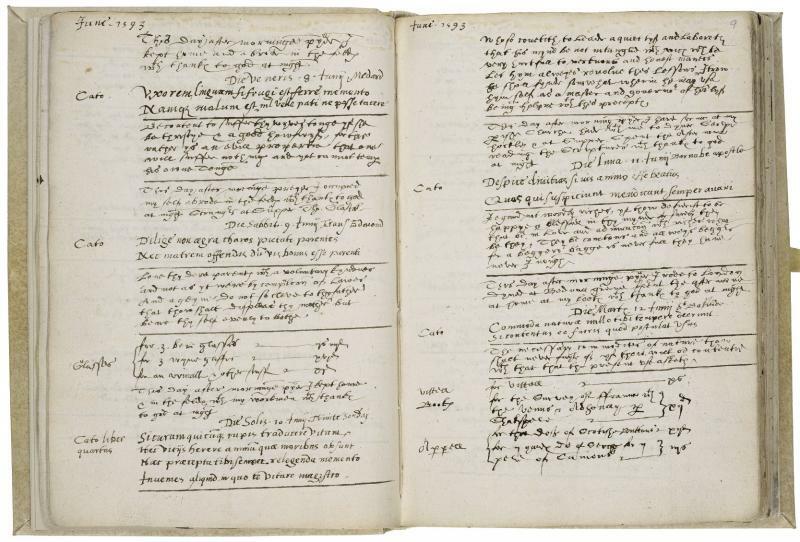 The diary was recently selected, along with five other Folger documents related to Shakespeare’s life, for inclusion on the UNESCO International Memory of the World register. Learn more about the Richard Stonley diary on Shakespeare Documented.